circa 4,400 B.C.E. — circa 3,500 B.C.E. 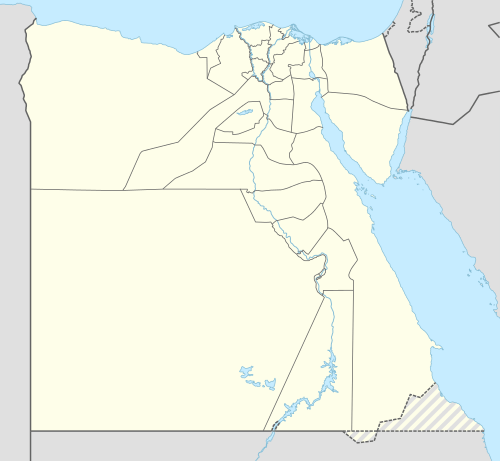 The Amratian culture was a culture of prehistoric Upper Egypt. 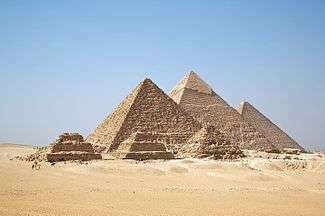 It lasted approximately from 4000 to 3500 BCE. Ovoid Naqada I (Amratian) black-topped terracotta vase, (c. 3800-3500 BCE). Clay model of four head of cattle found at el-Amra (c. 3500 BCE). The Amratian culture is named after the archaeological site of el-Amra, located around 120 km (75 mi) south of Badari in Upper Egypt. El-Amra was the first site where this culture group was found without being mingled with the later Gerzeh culture (Naqada II). However, this period is better attested at the Nagada site, thus it also is referred to as the Naqada I culture. Black-topped ware continued to be produced, but white cross-line ware, a type of pottery which has been decorated with close parallel white lines being crossed by another set of close parallel white lines, begins to be produced during this time. The Amratian falls between S.D. 30 and 39 in Petrie's sequence dating system. Trade between the Amratian culture bearers in Upper Egypt and populations of Lower Egypt is attested during this time through new excavated objects. 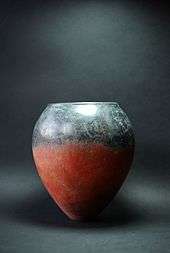 A stone vase from the north has been found at el-Amra, and copper, which is not present in Egypt, apparently was imported from the Sinai Peninsula or perhaps from Nubia. Obsidian and an extremely small amount of gold were both definitively imported from Nubia during this time. Trade with the oases also was likely. New innovations such as adobe buildings, for which the Gerzeh culture is well-known, also begin to appear during this time, attesting to cultural continuity. However, they did not reach nearly the widespread use that they were known for in later times. Additionally, oval and theriomorphic cosmetic palettes appear to be used in this period. However, the workmanship was still very rudimentary and the relief artwork for which they were later known is not yet present. Wikimedia Commons has media related to Naqada I. ↑ Shaw, Ian, ed. (2000). The Oxford History of Ancient Egypt. Oxford University Press. p. 479. ISBN 0-19-815034-2. 1 2 3 Grimal, Nicolas (1992). A History of Ancient Egypt. Blackwell. p. 28. ISBN 0-631-17472-9. 1 2 Gardiner, Alan (1964). Egypt of the Pharaohs. Oxford: University Press. p. 390. ↑ Newell, G.D. (2012). The relative chronology of PNC I. A new chronological synthesis for the Egyptian Predynastic. ex.cathedra Press. ↑ Redford, Donald B. (1992). Egypt, Canaan, and Israel in Ancient Times. Princeton: University Press. p. 7. ISBN 0-691-03606-3. ↑ Gardiner, Alan (1964). Egypt of the Pharaohs. Oxford: University Press. p. 393.